New York state's highest court said today that the New York City Board of Health and Health Department can mandate annual flu vaccines for children in city-regulated day care and preschool, reversing lower court rulings. The decision clears the way for the Health Department to enforce the rule, first adopted in December 2013 by the city Board of Health, that all children ages 6 months old to 5 years old must get a flu shot by Dec. 31 each year, and families must show proof their children have received it. "The rules challenged here do not relate merely to a personal choice about an individual's own health but, rather, seek to ensure increased public safety and health for the citizenry by reducing the prevalence and spread of a contagious infectious disease within a particularly vulnerable population," Leslie Stein, associate judge of the Court of Appeals, wrote in her opinion. A group of five families filed a lawsuit in 2015 to block the rule, and two previous court decisions ruled in their favor, leading the Board of Health to make a final appeal. City Health Commissioner Dr. Mary Bassett hailed the decision as improving safety for the 150,000 children who would be affected. 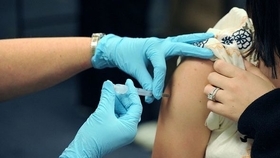 Five city children died from the flu last year. The Health Department said the mandate would be effective immediately. "Vaccines save lives and are an effective public health tool to prevent the spread of disease," she said in a statement. "The severity of this past influenza season reminds us of how deadly influenza can be." "State's top court defends city's flu vaccine mandate for children" originally appeared in Crain's New York Business.